Just a heads up. 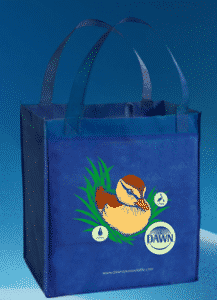 For the last couple weeks Dawn has been giving away thousands of free wildlife reusable shopping bags. They’re giving away another 2,000 today. Today’s giveaway is for 12pm (eastern time)/ 9am (pacific time/ 11am (central time). To score yours, just click here when it’s time and then click the “Make A Difference” tab. p.s if you haven’t already, please click here to like our facebook page. I’ll post an update there as soon as it goes live (as well as here). 12:09 PM Eastern time, all gone already!